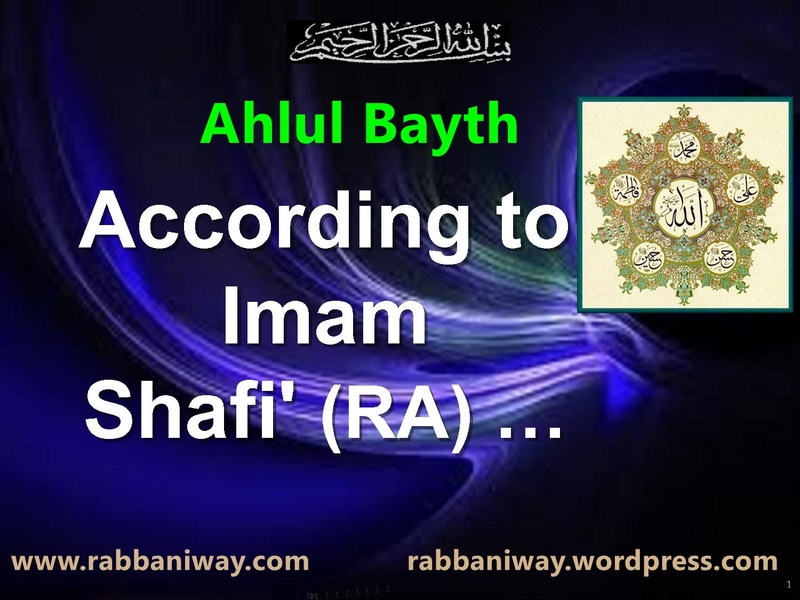 Shia hatred to Sunnis is regarding the Ahlul Bayth, Shia think Sunni do not love Ahlul Bayth, due to misguided sects emerged in Sunni Islam (like Wahhabi Qadiyani etc) and due to their false preaching and misguidance, some people from Sunni creed and sects think that loving Ahlul Bayth is becoming Shia! Both ways are wrong, Ahlu Sunna were always loved and followed the way of ahlul bayt. Due to the corruptions that is happening in the Muslim world, people have been misguided so much after the Ottoman Caliphate was destroyed! All Imams of Tasawwuf (Tariqah) are from Ahlul Bayth, it is from the the Spiritual Knowledge and Purification of Heart revealed and transmitted from time to time. So when you start Malice against ahlul bayt and Sahaba, that time you are playing a disrespectful game with the trust of Allah’s Messenger (alaihiswalathu wa salam)!, Beware, be careful oh Jahil Sunnis and Jahil Shias! They say: You are a Rafedhi and heretic, I say: Never did I become a Rafedhi, apostasy is not my religion. But needless to say that in my heart, there is much love (and respect) for the greatest leader (Imam Ali (As). If loving Wali of Allah (the friend of God?) is Rafdh, then I’m Rafedhi of 1st rank! If loving the household of Prophet (pbuh) is a sin, then I will never repent on this sin! Of course, on the Day of Judgment, they (Ahl-e-Bait) will be my intercessors on the Day when I shall be resurrected. That is when my sins are too many on that day. I disassociate myself from those (people) who believe that remembering the sons of Fatima (AS) is Rafdh. If anyone talks about Ali (as) and Fatima (as) and their sons, they (enemies of Ahl-e-Bayt) mend this way, they think that it is a foolishness (to remember Ali and Fatima). Supplications (Duroods and Salams) of my Allah be upon Prophet (pbuh). And curse of Allah be upon this ignorance and infidelity (hating Ahul-Bayt). When I saw different religions and jurisprudential schools steering towards ignorance and misguidance, I embarked in the name of God on the ark of salvation i.e. the family of the Seal of Prophets and got hold of the divine covenant which is the very love of them. Indeed, God has commanded us to hold fast to the divine covenant. What does Islam say about Establishing good Innovations? For example: Candles are used by every nations for the purpose of light!, but it is used for religious reasons by only a specific religions! 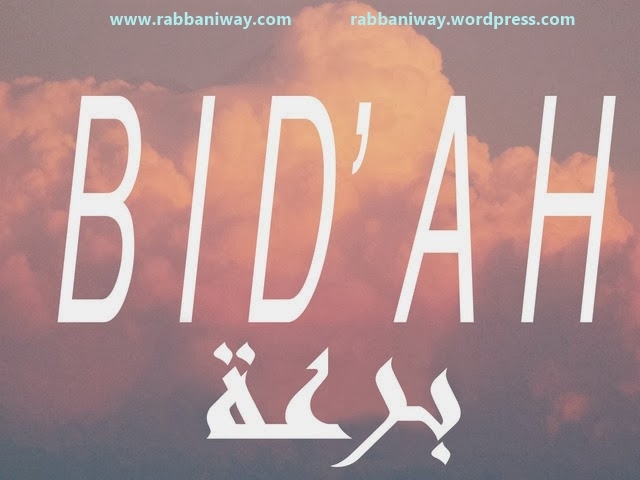 A good bid’ah: Milad Nabi is good bid’ah, which encourage the brotherhood of Muslims, which makes zikr of Allah and Salawat on Prophet, which givers Dawah to everyone in the form of vision and hearing. Which distribute food all of this activities are in accordance with Quran and Sunnah and can’t see any forbidden (haram) action in it! A Good innovation (Bid’a Hasana) is something which does not contradict Shari’ah. Because Most good Bid’ah (Innovations) are not of Prophet’s Sunnah and not of the sunnah of rightly guided successors. For Example: Using speakers for calling Azan and use of modern technology for travelling, bathing,making ablution, tooth paste ,digital zikr counter etc.. There is neither reward nor punishment for using such things!. Such Bid’ah does not give any reward nor punishment! But reward is given for the action for for means! For example if one person make zikr according to Sunnah but using innovated digital zikr counter, there is no reward for using that innovated digital counter! So don’t follow those who know nothing from Quran and hadith, except confusion misguidance! So it is clear that the bid’ah which leads to hell fire is those bid’ah which is in contradiction (actions Haram things) to Quran and Sunnah! Otherwise Muslims will have lived with the things which is used and practiced only in the time of Prophet alaihiswalathu wa salam! Did Prophet say to seek innovated knowledge from other nations, when Allah says: “This day I have perfected your religion”??? So it is clear that good innovation are accepted when it is in accordance with Quran and Sunnah! 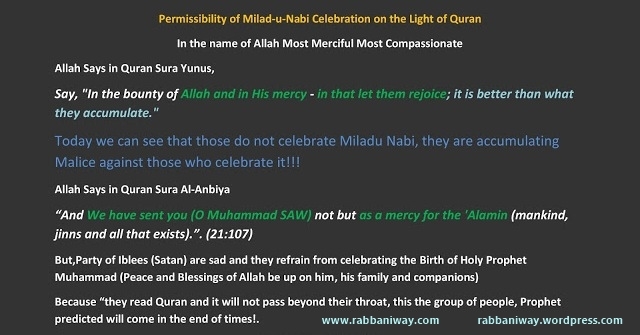 The four Madhabs were not existed in the time of Prophet (s.a.w) and Sahaba, so if all Bidah is error and if all error is misguidance and if all misguidance leads to hell fire! Then what guarantee is there in the works of the four Imams and those who followed them (Imam Bukhari, Imam Muslim etc)? 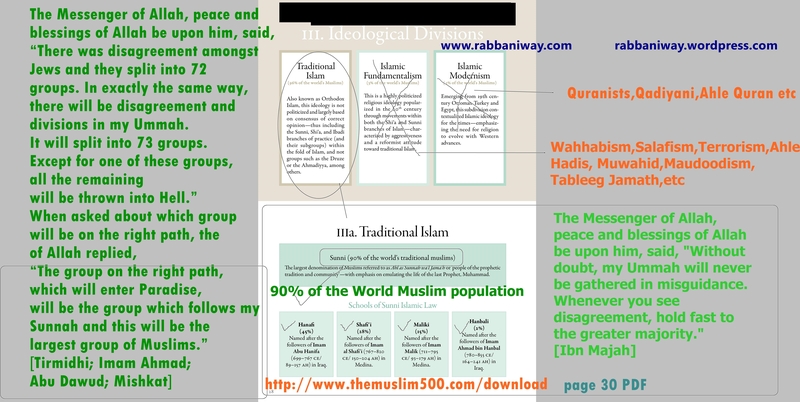 So wahhabis , stop fooling Muslims!, The four madhab itsrlf prove that all Bidah are not error and misguidance! Did four Madhab existed in the time of Prophet (s.a.w) and Sahaba? If not , then four Madhabs are Bidah or not? If four Madhabs are Bidha , then the Imams of four madhabs are misguided? If the Imams of four madhab are misguided, then their followers: Imam Bukhari,Imam Imam Nasai , Imam Nawawi,Imam Abu Dawud, Imam Muslim , Imam Tirmidi are misguided?if they are misguided, then those who read their books and follow their teachings can be/are misguided? Answer for this questions and after that we can talk about Bidah and following those who invent bidah! Then will they call Imams of four madhab, their own Najdi Shaykh etc as innovatory? How do they follow the hadith Books?, because No Sahaba or Khulafa Rashideen ever compiled a Hadith Books! How do they even accept Saudi Arabia? Islamic rule is only Khilafa! So how it is legitimate to have funds for Islam from a Bidha state? Look at your own life! Or do you believe that Islam only about some part of your life and some part is according to your own desire? Is your Ego is your God? Islam is A-Z in one’s life, Islam covers whole life style of a person! So Wake up to yourself, don’t fool yourself! Bismillahi Rahmani Raheem.Quran 2:256There is no compulsion in religion. Verily, the Right Path has become distinct from the wrong path. Whoever disbelieves in Taghut and believes in Allah, then he has grasped the most trustworthy handhold that will never break. And Allah is All-Hearer, All-Knower. Taking membership in some Islamic organization will not increase your Iman or will not benefit in the hereafter. They can only do the work like UN/Redcross/like some missionaries to call you to the basic understanding of basic Islam. On the authority of Tamim Al-Dari that the prophet said:“Religion is sincerity”. We said: “To whom?” He said: “To Allah and His Book, and His messenger, and to the leaders of the Muslims and their common folk”.